This award recognizes a library that has developed an ongoing service, programme or procedure of benefit to seniors and/or a design and organization of buildings or facilities that improve access and encourage use by seniors. The award will be presented biennially when merited. A representative of Ex Libris and CLA will present a suitably mounted framed certificate and a monetary award of $500 at the awards ceremony of the Canadian Library Association/Association canadienne des bibliothèques. 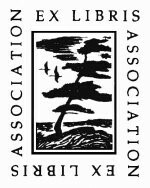 The Canadian Library Association/Association canadienne des bibliothèques acknowledges with thanks the generous support of the Ex Libris Association in sponsorship of this award. A representative of the ELA and CLA/ACB will review the submissions and make a recommendation to the executives of both organizations for approval. The winner will be announced via the CLA Digest and ELAN.